This PDF 1.5 document has been generated by / Skia/PDF m64, and has been sent on pdf-archive.com on 10/12/2017 at 06:11, from IP address 89.64.x.x. The current document download page has been viewed 133 times. File size: 124 KB (13 pages). This​ ​event​ ​was​ ​hosted​ ​in​ ​the​ ​Data​ ​Analyst​ ​ND​ ​Student​ ​Slack​ ​community​ ​on​ ​November​ ​29,​ ​2017. Welcome​ ​to​ ​Ask​ ​Me​ ​Anything! Our​ ​guest​ ​for​ ​this​ ​event​ ​is​ ​Dylan​ ​Lennard,​ ​a​ ​graduate​ ​of​ ​the​ ​Data​ ​Analyst​ ​Nanodegree​ ​Program. building​ ​apps,​ ​expanding​ ​his​ ​skills​ ​as​ ​a​ ​data​ ​worker,​ ​and​ ​spending​ ​time​ ​with​ ​friends. current​ ​job,​ ​please​ ​post​ ​them​ ​and​ ​Dylan​ ​will​ ​try​ ​to​ ​answer​ ​as​ ​many​ ​as​ ​possible. 2)​ ​ ​Is​ ​there​ ​any​ ​job​ ​placement​ ​data​ ​for​ ​udacity​ ​graduates? there​ ​to​ ​prove​ ​you're​ ​job​ ​ready​ ​with​ ​just​ ​a​ ​nanodegree​ ​and​ ​portfolio? 2)​ ​We’ll​ ​have​ ​someone​ ​look​ ​into​ ​that,​ ​I​ ​don’t​ ​have​ ​any​ ​data​ ​there. looking​ ​to​ ​prove​ ​themselves​ ​as​ ​a​ ​data​ ​worker. (everything​ ​has​ ​clear​ ​README.md​ ​files)​ ​and​ ​your​ ​linkedin​ ​is​ ​good​ ​as​ ​well. lot​ ​of​ ​people​ ​underestimate​ ​how​ ​much​ ​work​ ​is​ ​involved,​ ​but​ ​the​ ​payoff​ ​is​ ​great! for​ ​at​ ​least​ ​5-10​ ​hours.​ ​That​ ​worked​ ​really​ ​well​ ​for​ ​me​ ​as​ ​a​ ​strategy. you​ ​use?​ ​indeed?​ ​Dice?​ ​Monster?​ ​LinkedIn? pay​ ​off​ ​very​ ​well​ ​(but​ ​be​ ​careful​ ​with​ ​contracting​ ​roles,​ ​there​ ​are​ ​pluses​ ​and​ ​minuses). have​ ​finished​ ​DAND​ ​2​ ​months​ ​ago,​ ​but​ ​still​ ​cannot​ ​find​ ​a​ ​data-related​ ​position. you​ ​can​ ​to​ ​show​ ​people​ ​that​ ​you​ ​care​ ​about​ ​data! about​ ​4​ ​months​ ​total​ ​time.​ ​It’s​ ​aggressive,​ ​but​ ​it​ ​can​ ​be​ ​done! I​ ​am​ ​not​ ​directly​ ​sure​ ​about​ ​that,​ ​I’m​ ​not​ ​involved​ ​with​ ​the​ ​career​ ​services​ ​from​ ​Udacity. can​ ​find​ ​resources​ ​for​ ​future​ ​employment,​ ​resume​ ​help,​ ​etc. 3)​ ​I’m​ ​not​ ​entirely​ ​sure,​ ​there’s​ ​always​ ​people​ ​looking​ ​for​ ​data​ ​workers​ ​though. job​ ​and​ ​starting​ ​the​ ​Nanodegree. a​ ​role​ ​you’d​ ​like,​ ​for​ ​example​ ​a​ ​little​ ​work​ ​experience​ ​that​ ​you​ ​can​ ​pivot​ ​on. things,​ ​and​ ​am​ ​considering​ ​enrolling​ ​myself​ ​to​ ​be​ ​perfectly​ ​honest! Question:​ ​After​ ​you​ ​finished​ ​DAND,​ ​what​ ​have​ ​you​ ​been​ ​doing​ ​to​ ​keep​ ​improving​ ​your​ ​skill​ ​set? Taking​ ​machine​ ​learning​ ​courses​ ​at​ ​Udacity?​ ​or​ ​studing​ ​stastic? In​ ​addition​ ​to​ ​the​ ​course​ ​exercises​ ​and​ ​projects,​ ​which​ ​additional​ ​resources​ ​will​ ​you​ ​suggest? using​ ​python.​ ​It​ ​was​ ​a​ ​super​ ​fun​ ​project​ ​that​ ​took​ ​me​ ​forever,​ ​but​ ​very​ ​rewarding. 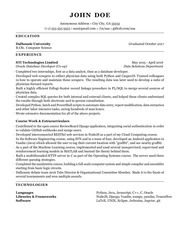 buddy​ ​who​ ​is​ ​interested​ ​in​ ​this​ ​stuff​ ​and​ ​work​ ​with​ ​him/her. the​ ​company​ ​you’re​ ​interviewing​ ​with. 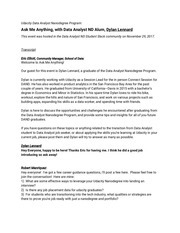 Hi,​ ​Dylan,​ ​how​ ​do​ ​you​ ​demonstrate​ ​what​ ​you​ ​learning​ ​DAND​ ​is​ ​competent​ ​for​ ​analytics​ ​job? as​ ​soon​ ​as​ ​you’ve​ ​graduated). As​ ​a​ ​data/product​ ​analyst,​ ​not​ ​at​ ​all.​ ​As​ ​a​ ​data​ ​scientist,​ ​it​ ​depends. definitely​ ​expect​ ​to​ ​know​ ​that​ ​it’s​ ​an​ ​expectation​ ​ahead​ ​of​ ​time​ ​(and​ ​that​ ​it​ ​pay​ ​well!). portal.​ ​But​ ​would​ ​be​ ​more​ ​beneficial​ ​to​ ​look​ ​at​ ​a​ ​profile​ ​for​ ​inspiration. especially​ ​true​ ​in​ ​data​ ​analytics. will​ ​know​ ​how​ ​good​ ​you​ ​are. yourself​ ​to​ ​demonstrate​ ​your​ ​portfolios? look​ ​great,​ ​and​ ​employers​ ​can​ ​really​ ​see​ ​how​ ​good​ ​you​ ​are​ ​and​ ​how​ ​much​ ​you​ ​care! it.​ ​Courses​ ​didn’t​ ​get​ ​me​ ​as​ ​far,​ ​though​ ​obviously​ ​they’re​ ​a​ ​great​ ​first​ ​step! stand​ ​out​ ​to​ ​be​ ​very​ ​competitive? Hey​ ​Dylan,​ ​what​ ​tool/language​ ​do​ ​you​ ​use​ ​the​ ​most​ ​in​ ​your​ ​current​ ​position? mostly​ ​SQL​ ​and​ ​Excel!​ ​In​ ​the​ ​role​ ​before​ ​that​ ​I​ ​used​ ​R​ ​a​ ​lot,​ ​almost​ ​daily,​ ​and​ ​quite​ ​a​ ​bit​ ​of​ ​SQL. python/R​ ​(though​ ​you​ ​need​ ​one​ ​of​ ​those​ ​and/or​ ​excel​ ​to​ ​play​ ​with​ ​the​ ​data). you​ ​need​ ​to​ ​know​ ​how​ ​to​ ​do​ ​distributions/histograms.​ ​That’s​ ​at​ ​the​ ​very​ ​minimum. towards​ ​data​ ​science​ ​in​ ​the​ ​future. think​ ​all​ ​that​ ​course​ ​work​ ​is​ ​good​ ​for​ ​industry​ ​based​ ​on​ ​my​ ​experience! be​ ​familiar​ ​with​ ​every​ ​single​ ​one​ ​of​ ​them​ ​to​ ​be​ ​able​ ​to​ ​get​ ​a​ ​job?​ ​where's​ ​the​ ​finishing​ ​line? with​ ​one,​ ​and​ ​then​ ​you​ ​can​ ​learn​ ​the​ ​other​ ​when​ ​you​ ​need​ ​it. Should​ ​we​ ​highlight​ ​the​ ​nanodegree​ ​in​ ​resume? Highlight​ ​your​ ​projects​ ​as​ ​personal​ ​works,​ ​highlight​ ​the​ ​material​ ​you​ ​learned. Machine​ ​learning​ ​not​ ​crucial​ ​for​ ​analyst​ ​roles,​ ​but​ ​it’s​ ​fun​ ​and​ ​a​ ​great​ ​prep​ ​for​ ​your​ ​next​ ​step! This file has been shared by a user of PDF Archive. Document ID: 00706811.